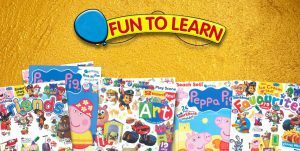 The Fun to Learn series comprises of fun-filled magazines, Fun to Learn Favourites, Peppa Pig, and Bag O’ Fun. The magazines are designed to make learning entertaining and incorporates the development of the six areas of learning; communication and language, physical, personal, social and emotional, literacy, mathematics, understanding the world, and expressive arts and design in each of the activities. 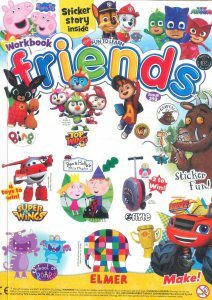 The Fun to Learn magazines, published by Redan Publishing, are aimed at pre-schoolers aged 3-7 each publication features popular television characters, Paw Patrol, Peppa Pig, PJ Masks, Blaze, Boj and many others. 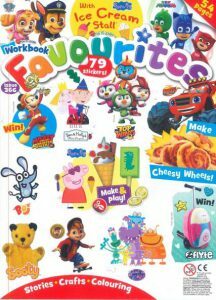 Fun to Learn Favourites is written around every child’s favourite television and book characters, incorporating skills such as counting, reading stories about sharing, completing puzzles, playing and making friends and so much more. Your child will develop a great imagination when reading and doing activities with familiar faces. 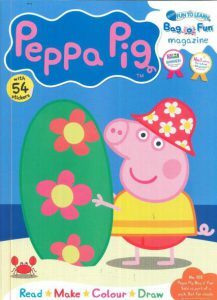 Fun to Learn Peppa Pig is published every 2 weeks, based on the hit children’s show, Peppa Pig. Each issue is packed full of stories, workbooks, stickers, activities, puzzles and more with the aim of encouraging and developing early learning skill sets. 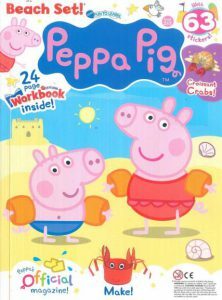 Fun to Learn Bag O’ Fun consists of a winning combination of popular characters including Peppa Pig, Dora the Explorer, Sooty, Mike the Knight, Humf and many others to help bring to life the fun tales and activities in the magazine, whilst developing basic educational skills. Every issue is filled with stories, collectable posters and work pages that are enjoyable and educational, each activity is age appropriate and helps children get on the right track to learning. Children can read endless pages of special work activities designed to make learning fun and keep children interested from cover to cover!